“Fasting is the greatest remedy – the physician within.” – Paracelsus, a 15th century Swiss German Renaissance physician, botanist. Imagine when you stop the overindulgence and rest the digestive system, you allow your body to detoxify, repair cells, tissues and organs – which in turn leads to a better mental and emotional health. Ancient traditions like Buddhism, Jainism and more follow a practice of fasting as a way of purifying the mind, body, spirit and instilling self discipline and control. 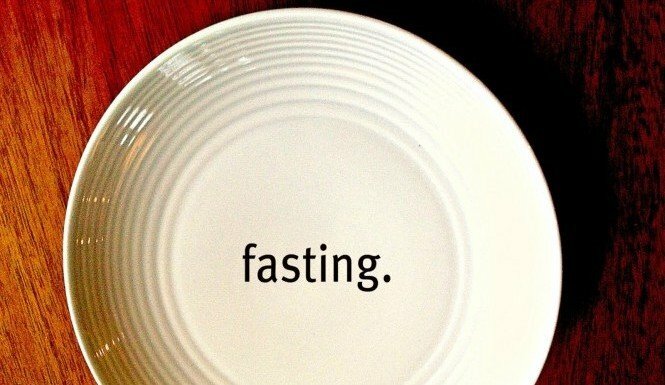 Scientists are now discovering the multiple bodily benefits of fasting; from reducing risks of heart disease and diabetes, protecting against brain disease to effectively treating cancer in human cells. What does the body do in fasting? Our bodies know how to heal themselves, we just need to give them the time and opportunity to do so. 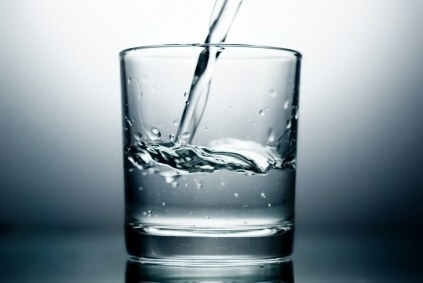 When we fast (be it only water or liquids), the body starts using the stored fat as a source of energy. In the begining, our body will naturally get rid of diseased tissues, excess nutrients, and accumulated waste and toxins. This cleansing process creates an environment for the body to begin its healing – it starts to repair and regenerate different organs. Like when you are sick, your appetite decreases, or even for animals, they often lie down and don’t eat or drink. Energy goes towards healing our bodies instead of digesting food. A recent study by researchers from the University of Southern California showed that prolonged fasting not only protects against immune system damage – a major side effect of chemotherapy – but also induce immune system regeneration. Fasting shifts stem cells from a dormant state to a state of self-renewal. In a clinical trial involving patients who were receiving chemotherapy, scientists found that when patients did not eat for a long periods of time, it significantly lowered their white blood cell counts. Since it lowers the white blood cell count, this induces changes that trigger stem cell-based regeneration of new immune system cells. Fasting cycles can basically, generate a new immune system. “Chemotherapy causes significant collateral damage to the immune system. The results of this study suggest that fasting may mitigate some of the harmful effects of chemotherapy.” Co-Author Tanya Dorff, assistant professor of clinical medicine at the USC Norris Comprehensive Cancer Center and Hospital. A study conducted on the effects of fasting on treating cancer patients have found that the ones who included fasting into their therapy witnessed fewer side effects from chemotherapy. It slowed the growth and spread of tumors and even eliminated the threat of cancer in some patients. Researcher Professor Valter Longo, University of Southern California said, “what we are seeing is that the cancer cell tries to compensate the lack of all these things missing in the blood after fasting. It may be trying to replace them, but it can’t. The cell is, in fact, committing cellular suicide”. Fasting is a process of restraining from temporary sensory pleasures and channeling your energy to serving a higher purpose. Cutting daily food intake for 1-2 days a week can also help protect the brain against degenerative diseases such as Alzheimer’s, Parkinson’s and other ailments. Or even cutting down the daily intake to 500 calories for few days in a week boosts the growth of neurons in the brain, a process that would counteract the impact of Alzheimer’s and Parkinson’s. Studies show that fasting triggers a significant surge in growth hormone, credited with increasing metabolism and burning off fat. During fasting, our body pulls LDL (bad) cholesterol from the fat cells and uses it as energy. This natural process can help in reducing the risk of developing diabetes. Evidence from clinical trials shows that fasting can limit inflammation, improve levels of sugars and fats in circulation, and reduce blood pressure. I have been fasting for a long time (not so regularly), only drinking water the whole day, and the next day I’ve felt so rejuvenated, reenergised and a clearer mind. When the mind is clear, its possible attain higher states. I felt more connected with my inner self and with things around me. Even prior to a shamanic rituals, one is advised to follow fasting – liquids or fresh fruits/salads – because the process not only detoxifies your body but puriﬁcation is essential for an easier healing experience. Enjoy the experience!